5 continents editions. 336 pp., paperback, 61/2 x 91/2 in. 46 colour ills. and 215 b/w ills. ISBN 88-7439-200-1. 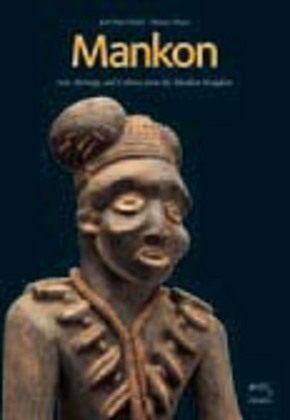 This work presents the artistic and cultural production of the small kingdom of Mankon on the high plateaux of western Cameroon. This production of the plastic arts plays a fundamental role in cultural continuity, protects evidence of the past and preserves objects used in rites for the well-being of society.